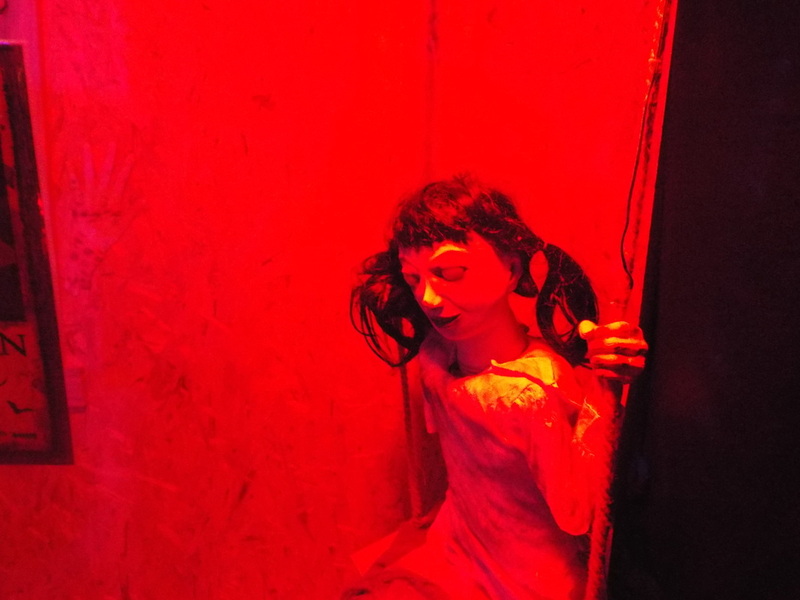 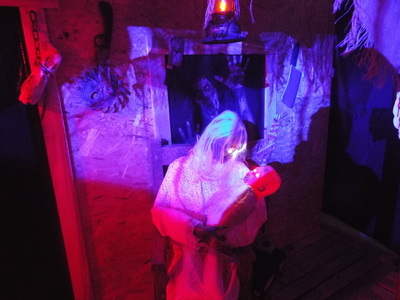 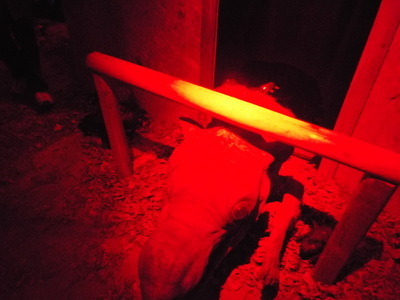 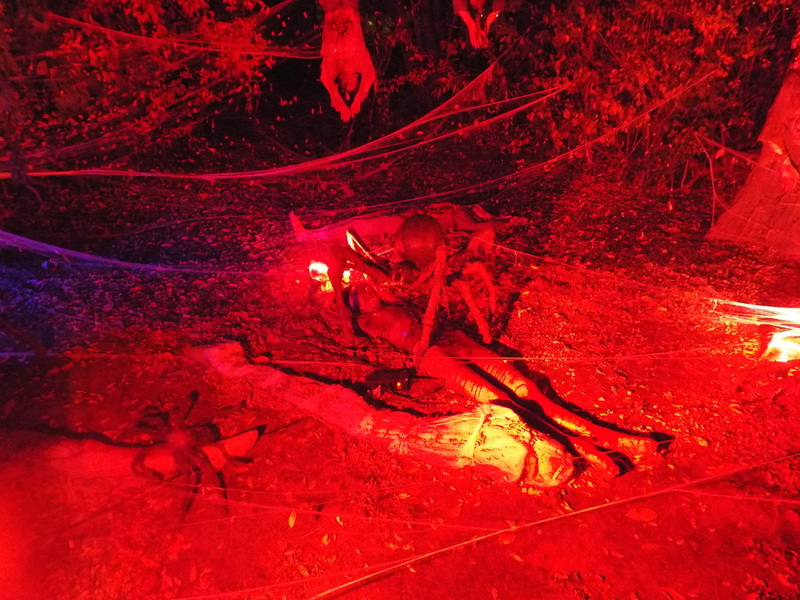 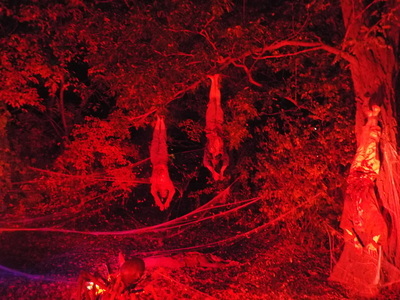 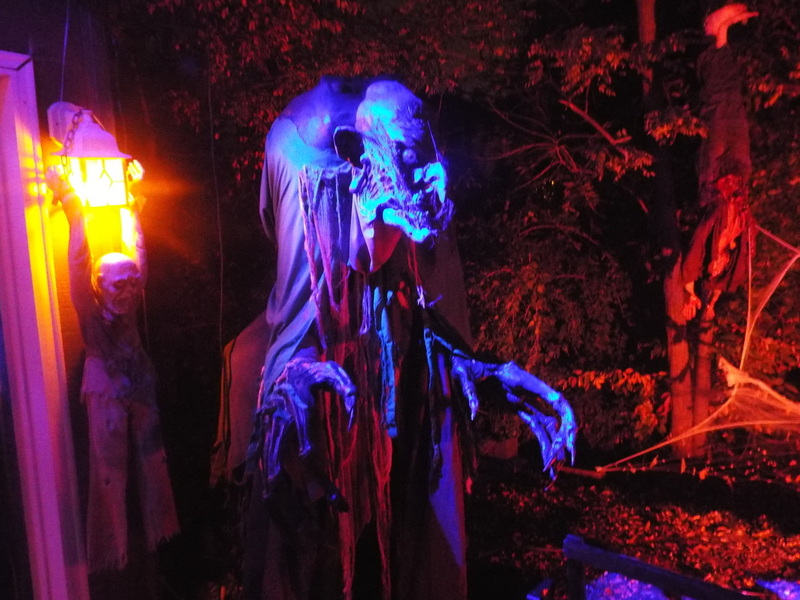 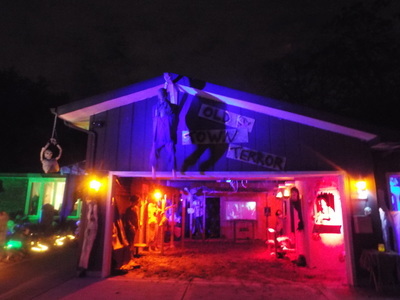 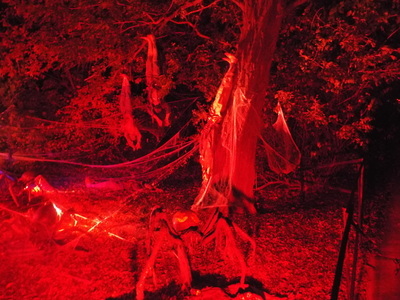 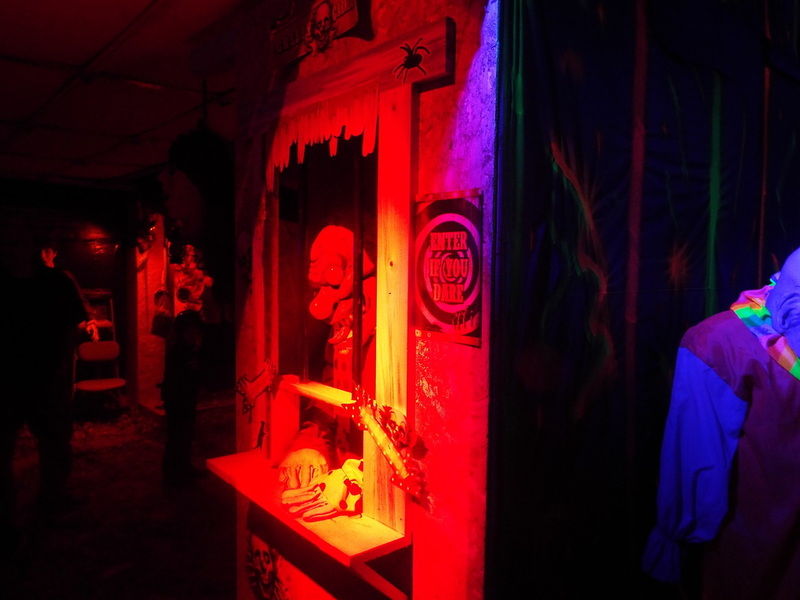 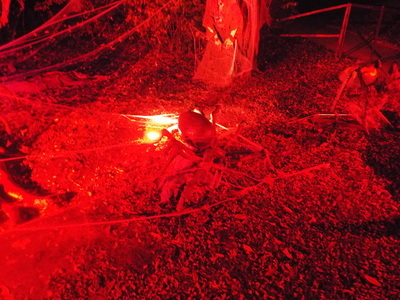 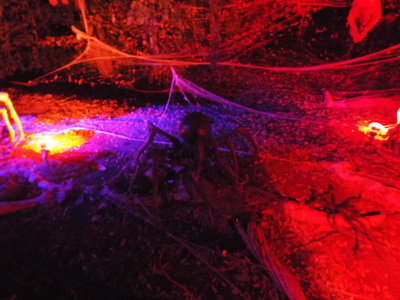 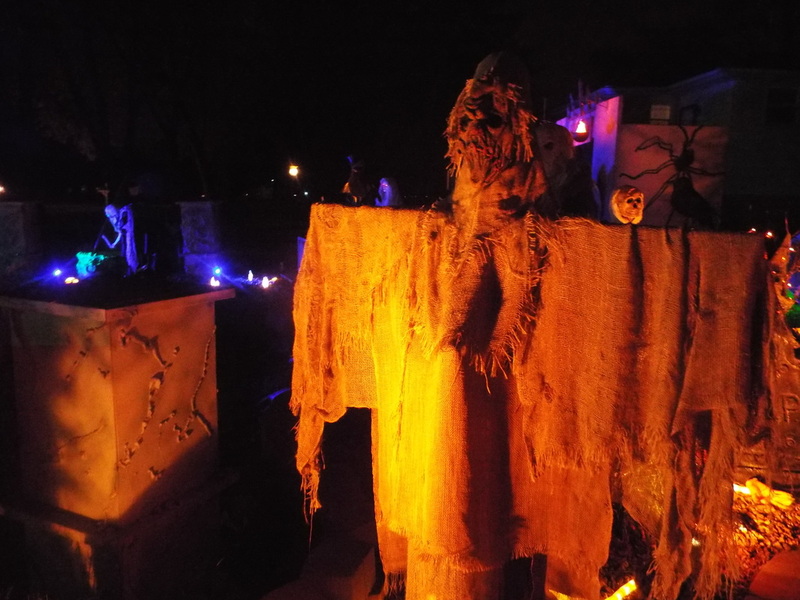 Old Town Terror is another brand new haunt for the Tourers, and one that joins the esteemed ranks of some great home haunts in the southwest suburb of Oak Forest. 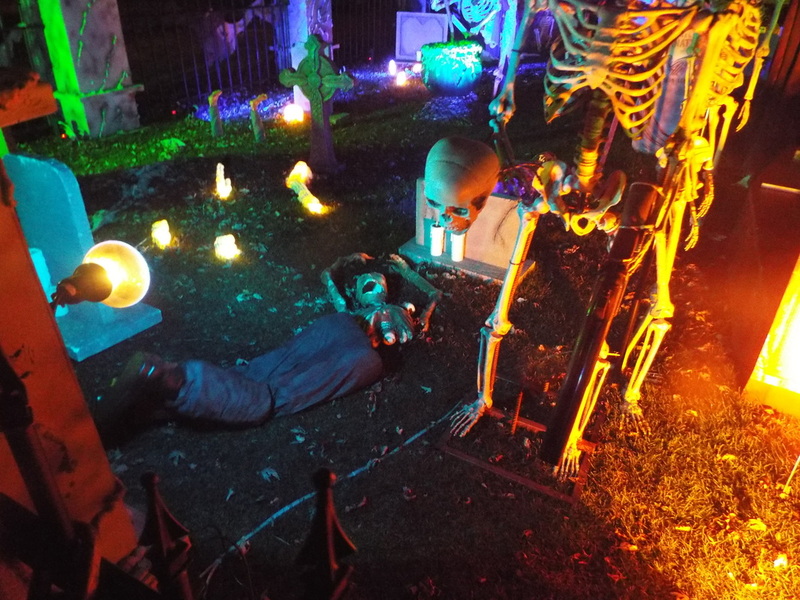 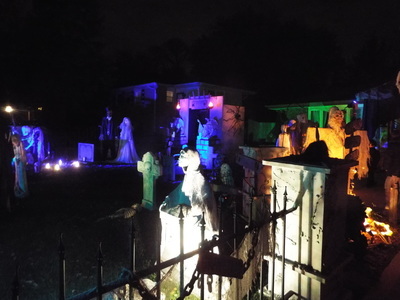 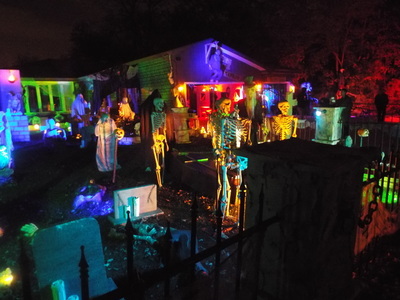 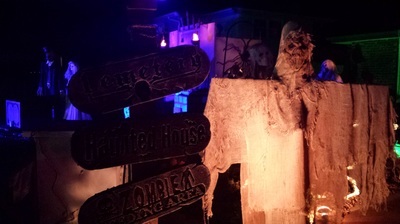 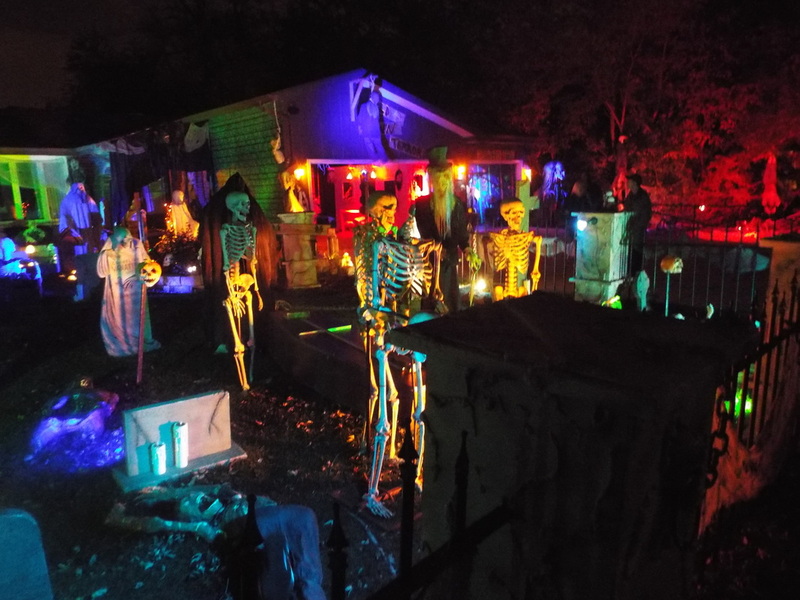 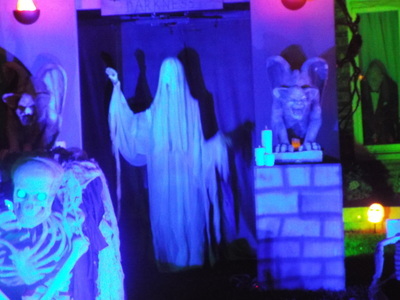 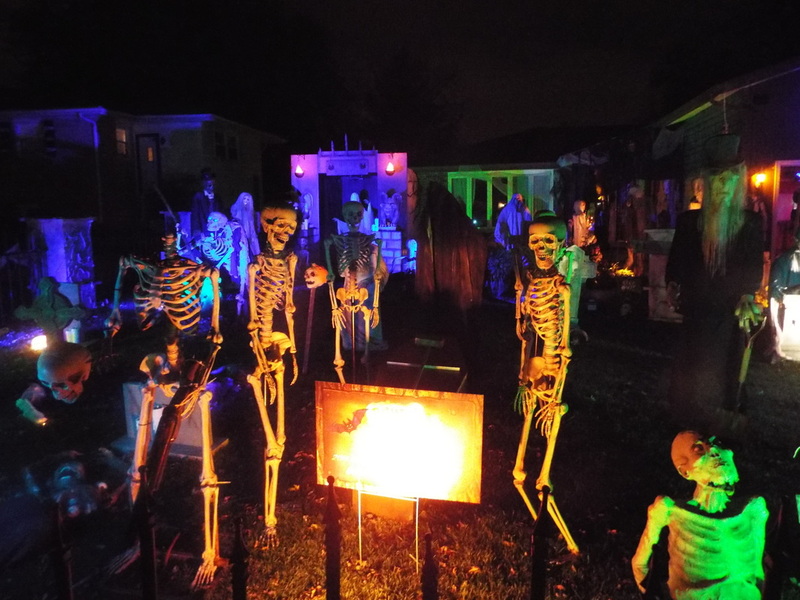 For some reason, Oak Forest has a concentration of great home haunts and yard displays, from Frankenstein's Wedding, to Nightmare on Newport, to Moe's Graveyard, haunt fans can have some great, free fun all in one area. And now there's another we can highly recommend. 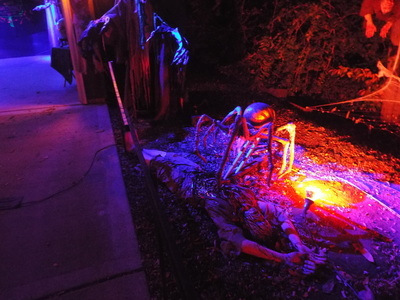 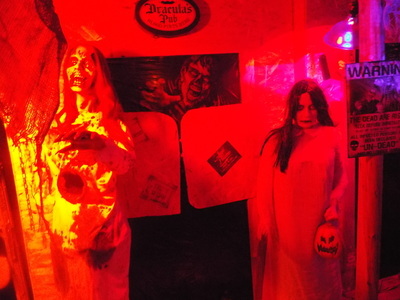 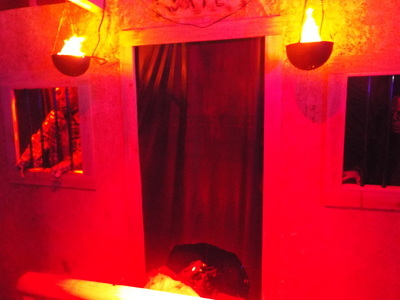 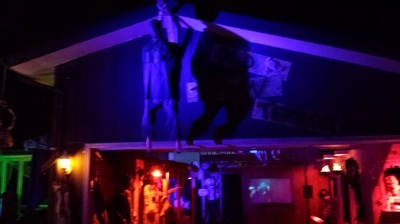 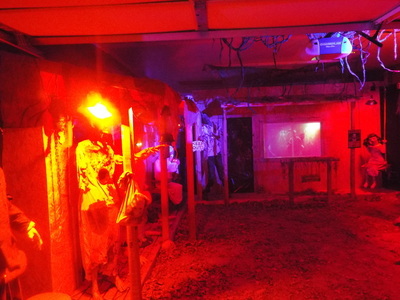 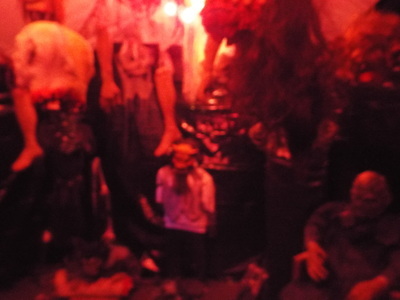 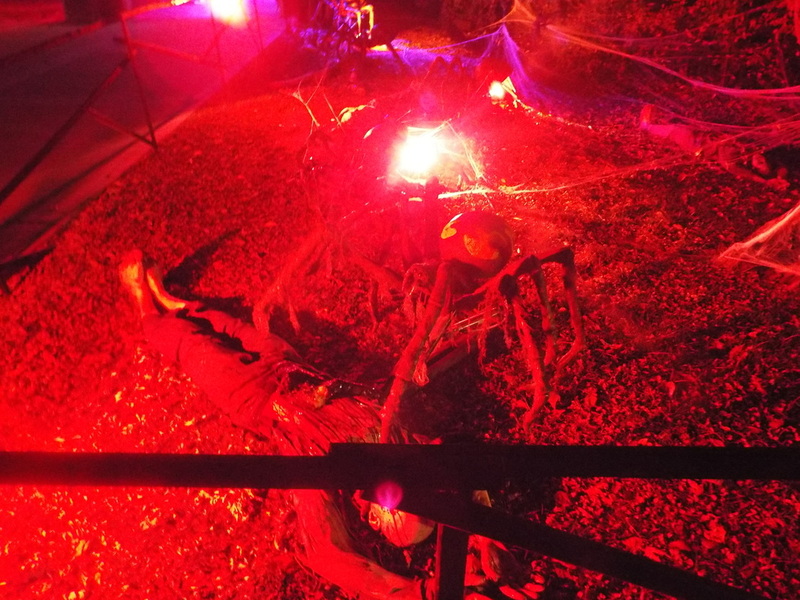 Old Town Terror is a combination front yard display and double-themed walkthrough haunt in the garage. 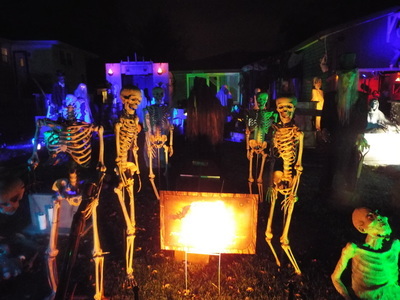 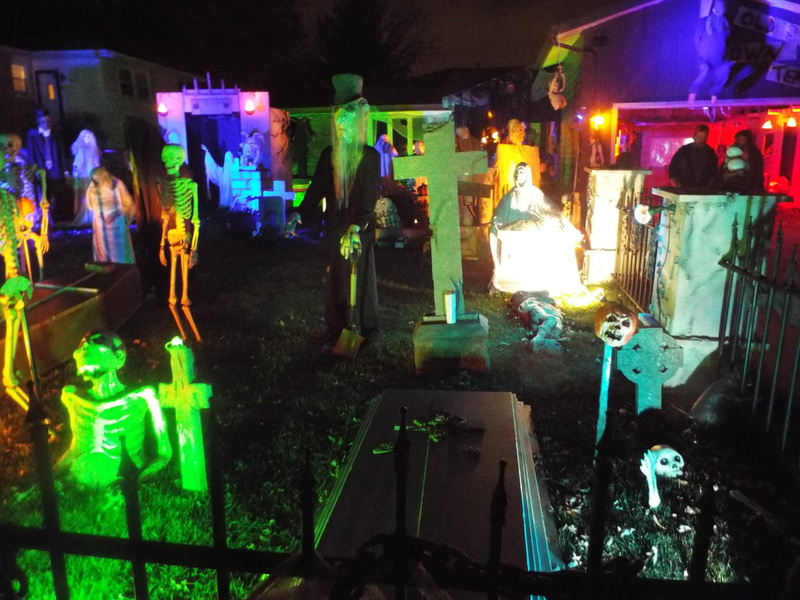 The large front yard is jam packed with things to see, from giant mechanical spiders and life size victims that occupy the right side of the property, to the many tombstones and life size characters that occupy the left side, and that's just the yard display part! There is quite a bite to see here, much of very detailed. 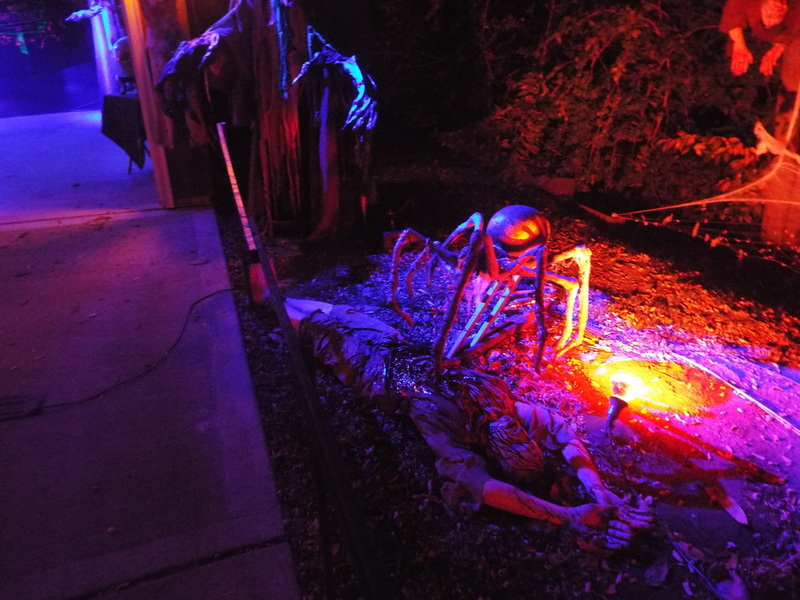 The spider section, for example, takes up much of the right side of the driveway, and features giant spiders pouncing on victims, hanging from webs, and even approaching their prey as they hang helplessly cocooned from the trees. It's lit with eerie red lighting and really makes for a cool display on it's own. 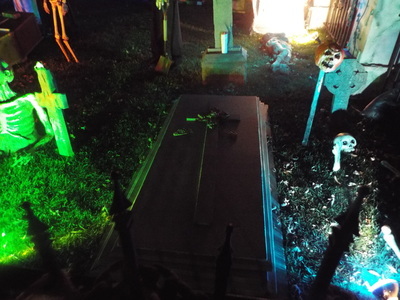 The main section of the yard display has a cemetery theme, complete with crypt, many tombstones, and different types of coffins. 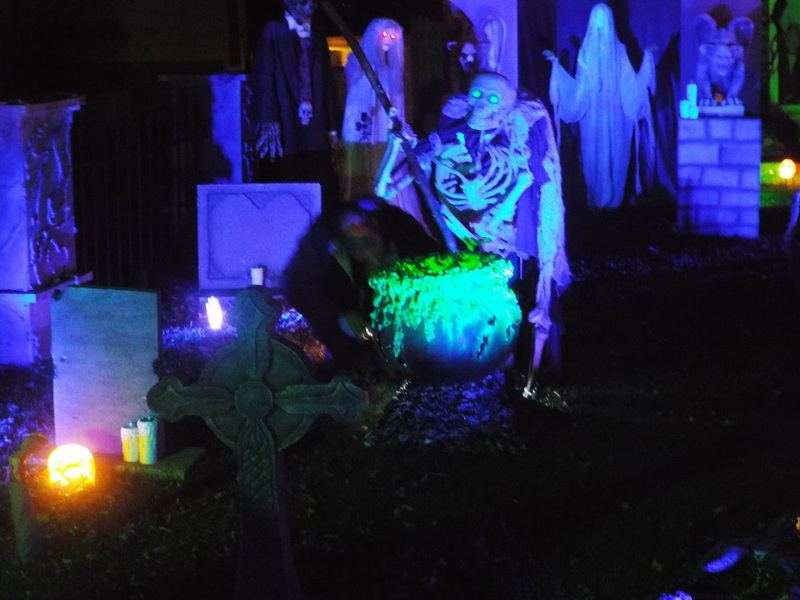 There are skeletal pallbearers, glowing ghosts, gargoyles, and even skeletons stirring some type of noxious brew in a cauldron. Again, there's so much to see here that this would be plenty to make this a great haunt. But that's still not all! 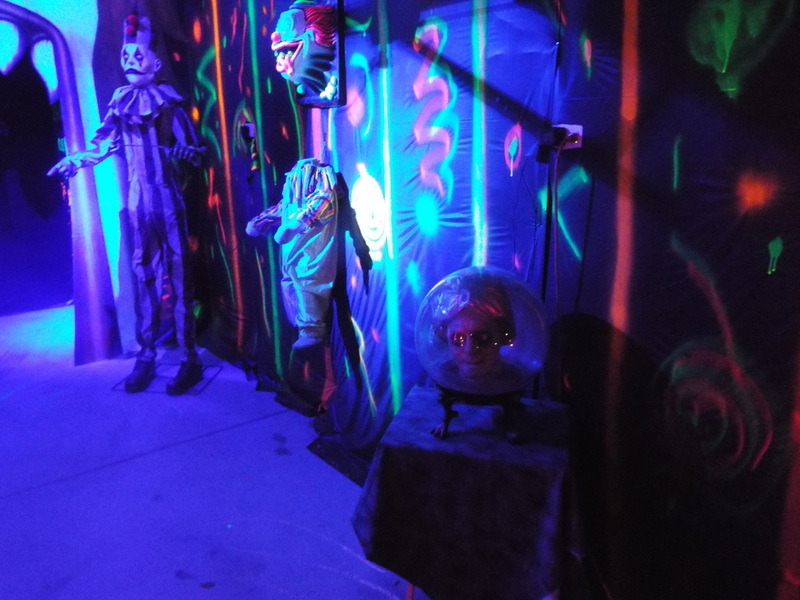 In the center of the driveway is a garage with two separate doors, and it had been divided into two entirely different walkthrough haunts. 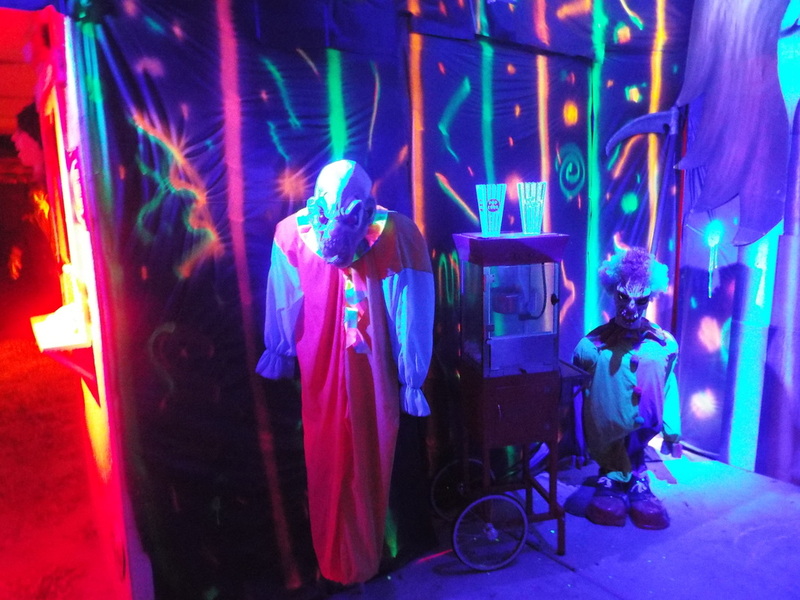 The haunt on the right was circus themed, with a giant open clown mouth serving as an extranceway to "your worst nightmare." 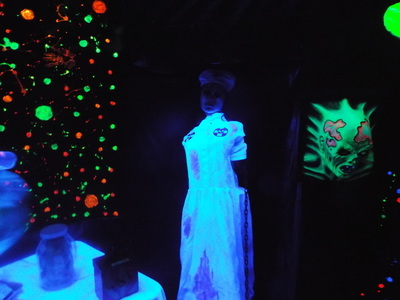 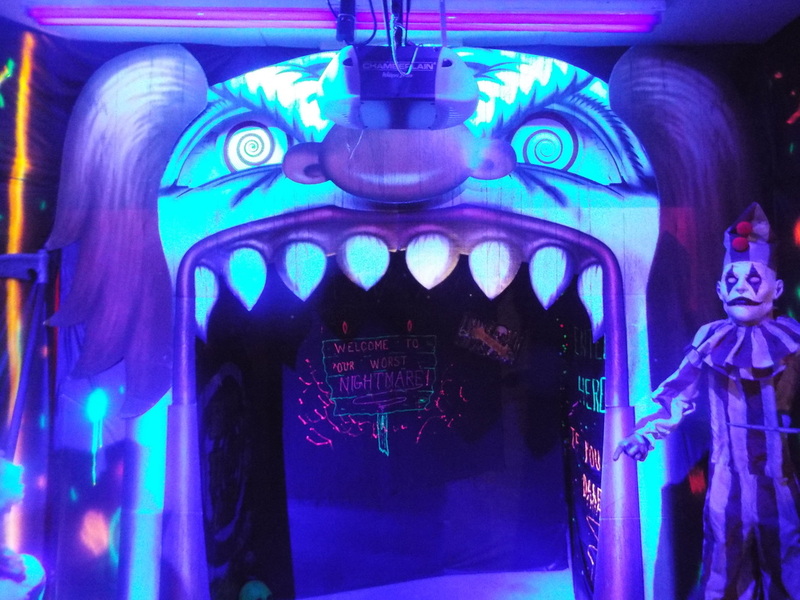 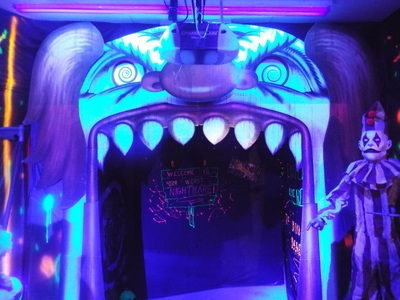 The inside features the requisite creepy clowns, colorful walls, and glow in the dark messages. 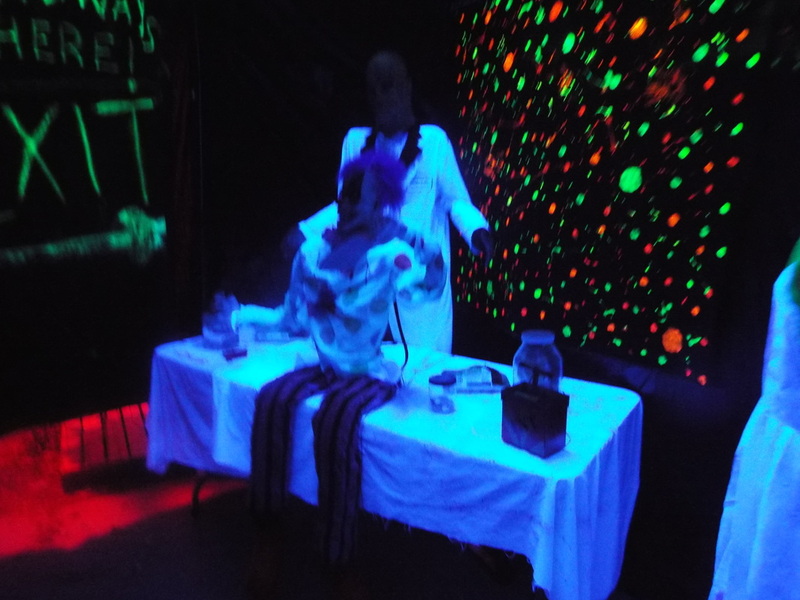 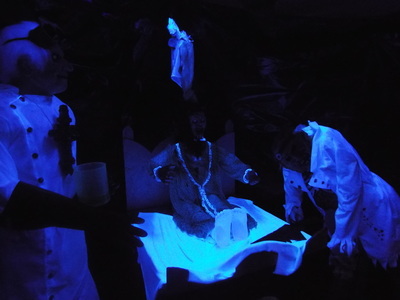 There's a clown on an operating table and a pop out creepy nurse, amongst other things. 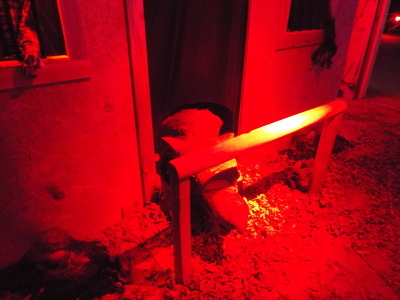 The second portion of the haunt was old west themed, featuring an old western town facade, with wooden buildings on either side and dirt and leaves on the floor - the buildings were all quite detailed, each featuring a different type of business, and with many having some type of automated creature or figure that popped out. The western portion was topped off by a large wooden sign on the roof that proclaimed the name of the haunt, alongside a swinging hooded man on a gallows. 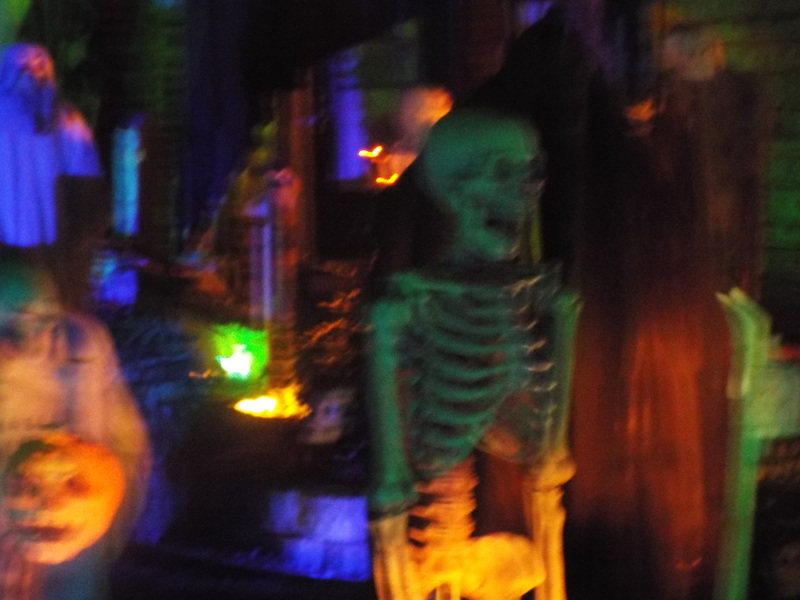 While there were no live actors inside the haunt, the level of detail and the variety of mechanical creatures/characters still made for a cool experience. 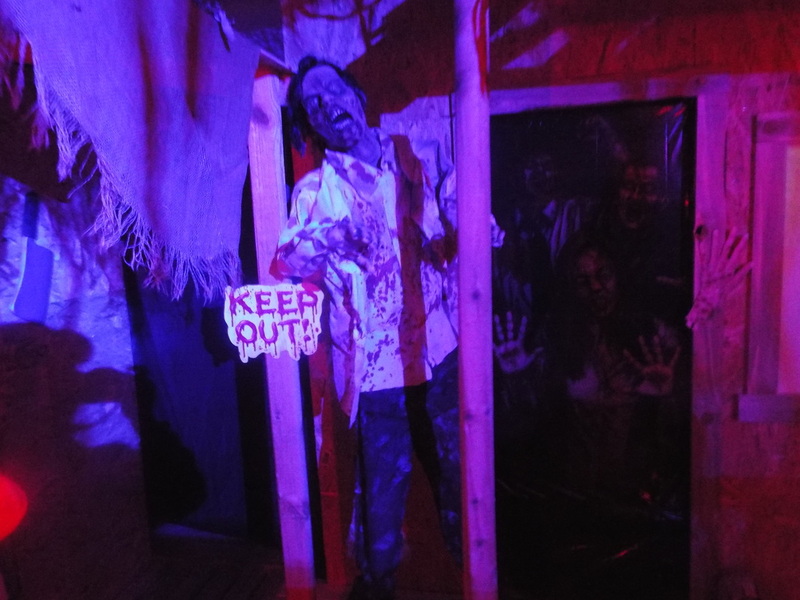 We are very happy we came across Old Town Terror this year, and we're sorry we missed it before. We can guarantee that it will continue to be on our "must visit" list in years to come, though!